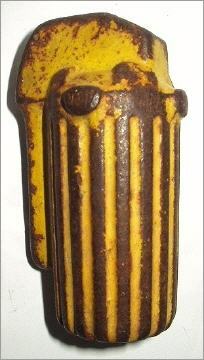 This practice grenade is completely made of cast iron. The yellow paint is the Finnish marking for inert training ordnance. The body is similar to the M41 , but the "fuze" looks different (unknown to me).